Hidden Object Crosswords is rated 3.4 out of 5 by 63. Rated 5 out of 5 by BEAUCE from Hidden Object Crossword An interesting way to play both hidden object and crossword. A nice change and good way to spend time. Rated 5 out of 5 by Calliefornia from Great Crossword! First off I'd like to point out that I really don't like crosswords, but I decided to get this on the daily deal and couldn't get enough. It's a very nice and fun hidden object crossword that wasn't hard or easy it was perfect to me. The puzzles weren't too difficult. Rated 5 out of 5 by oilinmylamp from Great game I am always looking for hidden object games without a story line. This one is great. 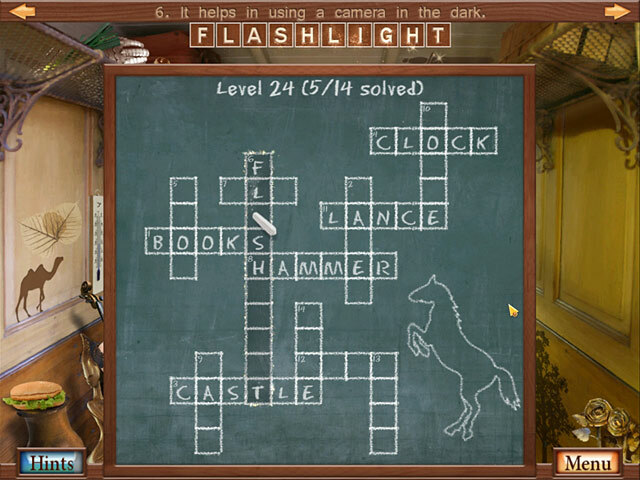 Using the crossword to get the clues to the hidden objects makes it challenging without having to go back and forth through doors and secret passageways. Rated 5 out of 5 by aungsoesyh from that is the way how to waste the time There are so many methods to play with their own brain and computer. so so so so.............let me know what you think about computer on line game ? what and how you choose the best way of polish the brain ? All right now !!!!!! That is the best of the best way how to waste the time. Rated 5 out of 5 by LaSola from This is a game you can play again and again! 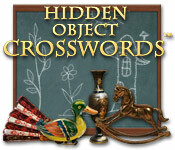 A new twist to the crossword puzzle using hidden objects. I like to play this when I only have a few minutes and want to relax my mind. This is one of my favorite games. 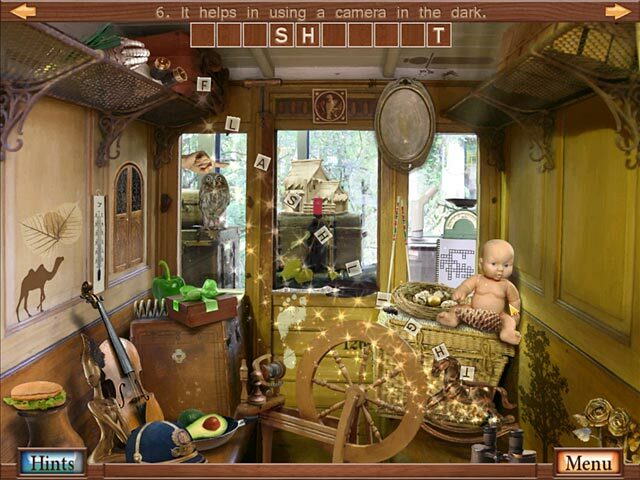 Rated 5 out of 5 by Ruckus777 from Pretty Fun Hidden Object Game! This game is pretty fun and brain-teasing. 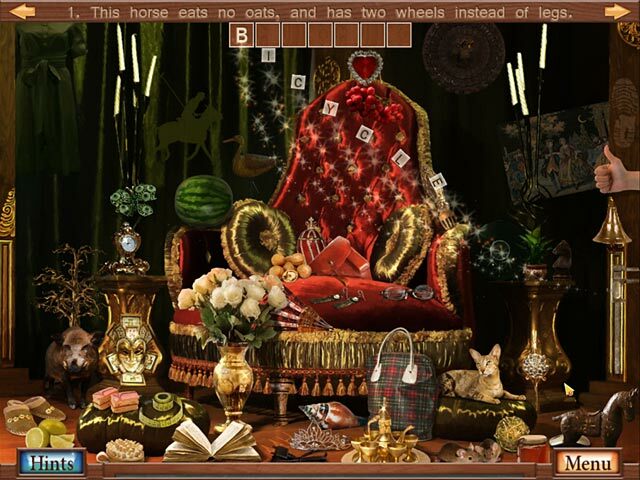 Unlike other hidden object games, you have to find objects based on hints that are given. Once you figure out what the object is, and you find it, that word is placed on a crossword board. The scene isn't complete until you find all the objects and the board is filled. I really thought this game was a fun way to spend my time, and I'd definitely recommend it! Rated 5 out of 5 by lstevenson from Great game! I'm surprised at some of the negative reviews of this game! I'm pretty picky, and I think it's great! Rated 5 out of 5 by hotchchick911111 from Hidden Object Crosswords it's an awesome game. The combination of crossword and hidden object is fun and challenging at the same time. I love the part where they use sayings to solve puzzles! When you use the help button, keep in mind that the object is usually is located just on the edge of the area highlighted instead of in the center.